Using social media is now a fact of life, but there’s one key mistake business owners have to avoid. 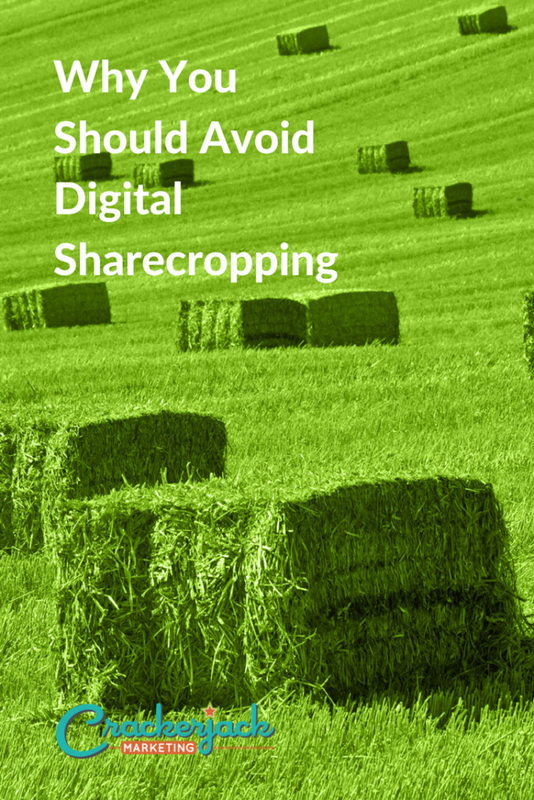 If you have an active presence on Facebook, Twitter, LinkedIn, Instagram or whatever social media is best for your business, that’s fantastic, but you must avoid the perils of digital sharecropping. What is it? It’s where you put your eggs in a social media basket and have no web presence of your own. A lot of small business owners who are starting out ask whether, instead of a website, they can set up a Facebook page. I always tell them no. The thing is, you may spend hours creating the perfect Facebook profile, tricking out your timeline, and making sure that it reflects your branding and personality, but it doesn’t actually belong to you. No-one ever reads the fine print, but take it from me – any time Facebook, Twitter or any social media site thinks you have contravened their terms of service, they can shut you down. 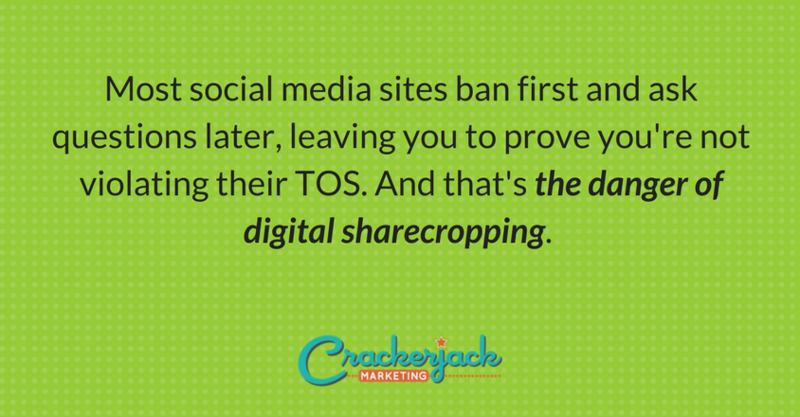 And they do – and that’s definitely not good for your brand. It’s also worth knowing that you don’t have to do anything to be shut down; they just have to think you have. Here are a couple of examples. A few months ago, I tried to log into my own Twitter account to find that it had been limited because they thought the account had exhibited spamming behavior. That meant I could read my Twitter stream but couldn’t interact with it – no tweets, retweets, mentions or DMs. I checked to see if someone had hacked the account (they hadn’t) or if I had sent any unexplained tweets or DMs (I hadn’t). I thought maybe the cause was one of my IFTTT sharing recipes, so I switched them off for a while. I contacted Twitter and asked them to look at it again. When they did, they said that on reflection my account was OK and had just got caught up in one of their spam sweeps. No real harm done, in my case, as it was sorted out in just over a day. But if you were providing customer service on Twitter, then a one-day lockout could be a disaster. This happens on Facebook too, and the shut down targets aren’t always because of questionable content. This Arizona couple got banned because Facebook took exception to their last name – Avatar. Most social media sites ban first and ask questions later, leaving you to prove you’re not violating their TOS. 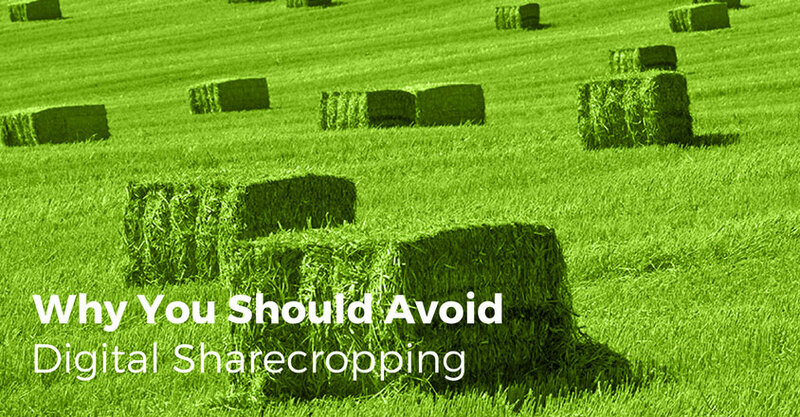 And that’s the danger of digital sharecropping. If you’re building a presence on someone else’s virtual patch, then if you’re banned or shut down, even if it’s not your fault, you lose everything you have been working for. As Copyblogger points out, landlords are fickle. So what’s the answer? The answer is to see social media for what it is: a necessary tool in your overall marketing strategy but not the place where you expend most of your energy. As we’ve said before, Facebook is not your website. Instead, spend some time putting your own content on your own site. Sure, things happen to websites too, but if you’re all paid up with your domain name and hosting, then generally your piece of cyberspace belongs to you. And that’s a better foundation for your online business presence.